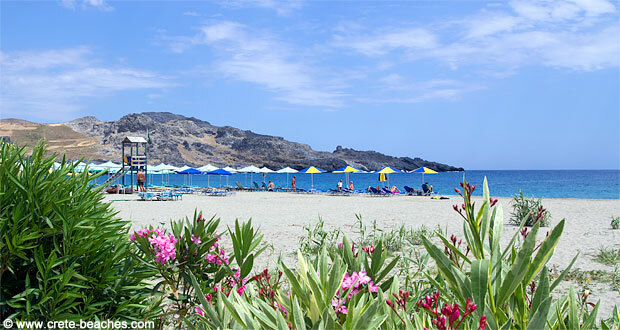 Damnoni beach is located a few kilometres south-east of the holiday resort Mirthianos Plakias in the southern part of Crete. 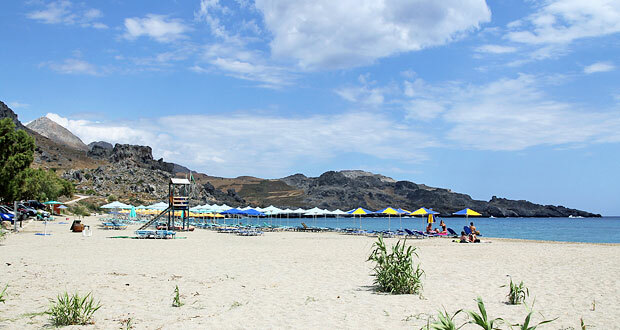 The large holiday resort Rethymnon on the north side is approx. 35 km away. 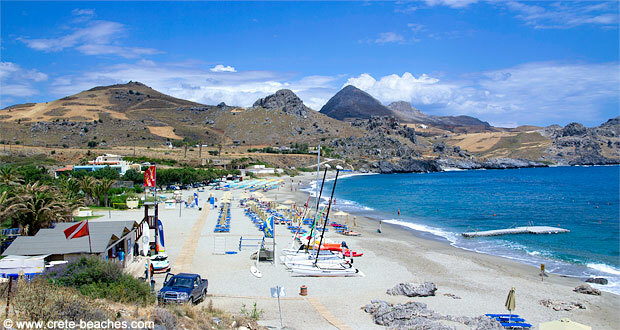 The beach in Damnoni is 500 m long and beautifully located in unspoiled natural surroundings with high mountains in the background. The beach is covered by sand mixed with gravel in some places. The water is very clear, but deepens relatively fast. In the western part of the beach, a large stream has its outfall with a lovely wooden bridge crossing it. Most bathers go to this part, but sun lounges and sunshades can be rented almost all over the beach. There are also showers and toilets. Large and lovely beach with lots of room to play. However, the water deepens relatively fast. There is a fine selection of water sports activities in Damnoni. For instance, it is possible to rent windsurfing equipment and catamarans or get a little more speed with water skis and ringos. There are a few restaurants behind the beach. 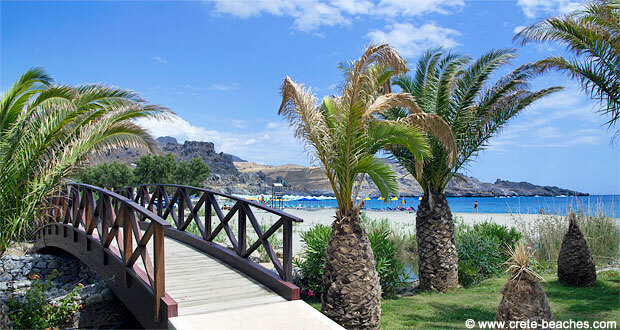 Damnoni is both the name of the beach and the area, but it is not an actual holiday resort. There are, however, a few hotels close to the beach, such as Hapimag Resort, which is located right next to the beach. 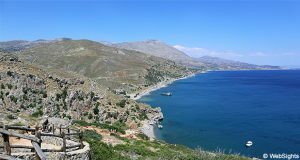 A few kilometres north-west of the town, you will find the holiday resort Mirthianos Plakias, which has a fine selection of hotels, restaurants and small shops.